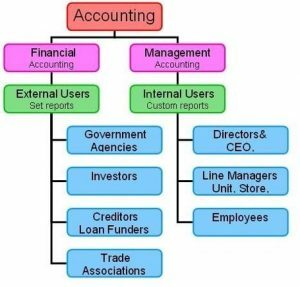 Accounting has three main forms of branches, viz, financial accounting, cost accounting, and management accounting. These forms of accounting have been developed to serve different types of objectives. It is the original form of accounting. It is mainly confined to the preparation of financial statements for the use of outsiders like creditors, banks and financial institutions etc. The chief purpose of financial accounting is to calculate profit or loss made by the business during the year and exhibit financial position of the business as on a particular date. Function of cost accounting is to ascertain the cost of the product and to help the management in the control of cost. It is accounting for management. 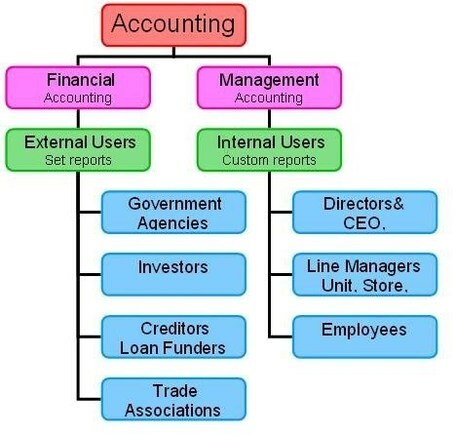 i.e., accounting which provides necessary information to the management for discharging its functions. It is the reproduction of financial accounts in such a way as will enable the management to take decisions and to control various business activities.